Burrowes Integrated Management Services Inc.
Ayo Burrowes is Vice Chairman of the board of trustees of Legacy Foundation, a philanthropic arm of the Barbados Public Workers’ Co-operative Credit Union Limited. A Chartered Secretary by profession, Ms. Burrowes is Director of Corporate Services at Burrowes Integrated Managements Services Inc. where she manages the corporate and administrative service delivery to her company’s local and international business clients. 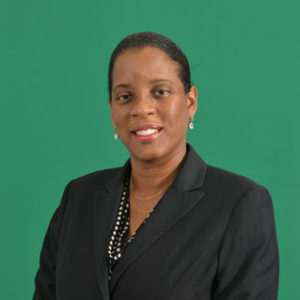 In her previous role as corporate secretary and financial analyst with an international financial services subsidiary of a Canadian group, she was responsible for corporate administration and various compliance and treasury management functions, including investment portfolio documentation compliance, treasury status reporting, settlement management and anti-money laundering awareness.